Bernstein, Jeremy. 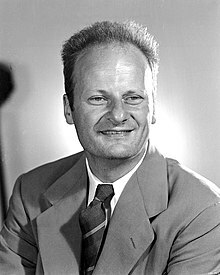 Hans Bethe, Prophet of Energy. New York: Basic Books. 1980. ISBN 978-0-465-02903-7. Schweber, Silvan S. Nuclear Forces: The Making of the Physicist Hans Bethe. Cambridge, Massachusetts: Harvard University Press. 2012. ISBN 978-0-674-06587-1. ^ Lee, S.; Brown, G. E. Hans Albrecht Bethe. 2 July 1906 -- 6 March 2005: Elected ForMemRS 1957. Biographical Memoirs of Fellows of the Royal Society. 2007, 53: 1. doi:10.1098/rsbm.2007.0018 （英语）. ^ Horgan, John. Illuminator of the Stars. Scientific American. 1992, 267 (4): 32. Bibcode:1992SciAm.267d..32H. doi:10.1038/scientificamerican1092-32 （英语）. ^ 袁岚峰. 在可控核聚变的道路上，中国走到了哪一步. 王真_NT5228 (网易责任编辑). 观察者网, 网易科技 (转载网站). 2016年12月13日 [2018年4月17日] （中文（中国大陆）‎）. ^ Richard Feynman, Robert B. Leighton, Matthew Sands. The Relation of Physics to Other Sciences. The Feynman Lectures on Physics [费曼物理学讲义] (HTML) 1. Michael A. Gottlieb (在线版制作者), Rudolf Pfeiffer (在线版制作者). California Institute of Technology. 2013年 [2016年11月5日] （英语）. One of the most impressive discoveries was the origin of the energy of the stars, that makes them continue to burn. One of the men who discovered this was out with his girlfriend the night after he realized that nuclear reactions must be going on in the stars in order to make them shine. She said 'Look at how pretty the stars shine!' He said 'Yes, and right now I am the only man in the world who knows why they shine.' She merely laughed at him. She was not impressed with being out with the only man who, at that moment, knew why stars shine. Well, it is sad to be alone, but that is the way it is in this world.